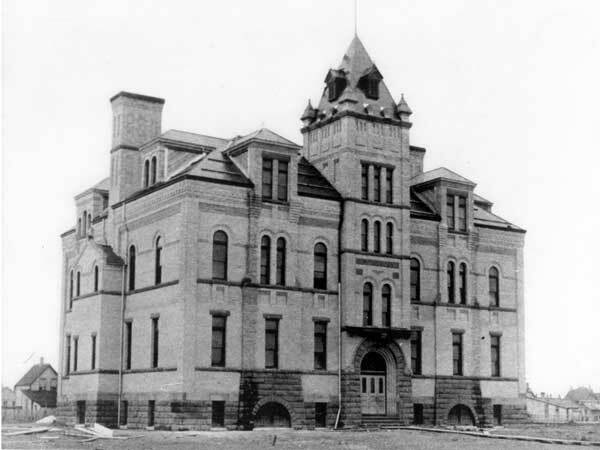 The first Dufferin School, designed by architect W. T. Dalton and built at the corner of Patrick Street and Henry Avenue in 1881, commemorated Lord Dufferin, Governor-General of Canada from 1872 to 1878, who visited Winnipeg with his wife in 1877. Consisting of two classrooms, its students were mostly the children of newly arrived immigrants, most of whom did not speak English. As the school population grew, it became overcrowded so two classrooms were added in 1882. 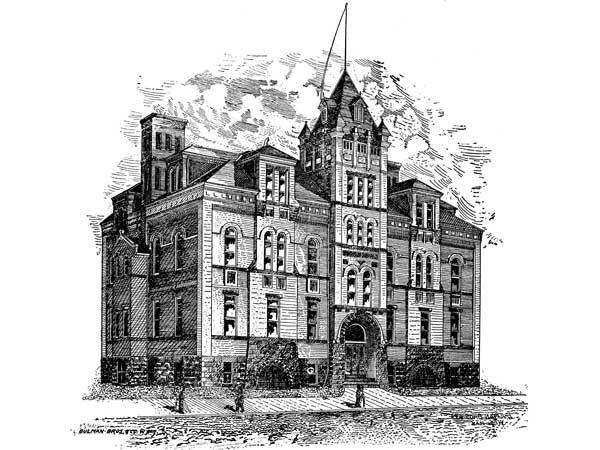 By 1896, it had been overcrowded again and, this time, an entirely new school was constructed, on a nearby site facing Logan Avenue. Designed by local architect Charles H. Wheeler, this three-storey brick structure was erected by the firm of Kelly Bros. & Co. at a cost of $27,900, containing ten classrooms and an assembly hall, and capable of accommodating 500 students, with a staff of ten teachers. 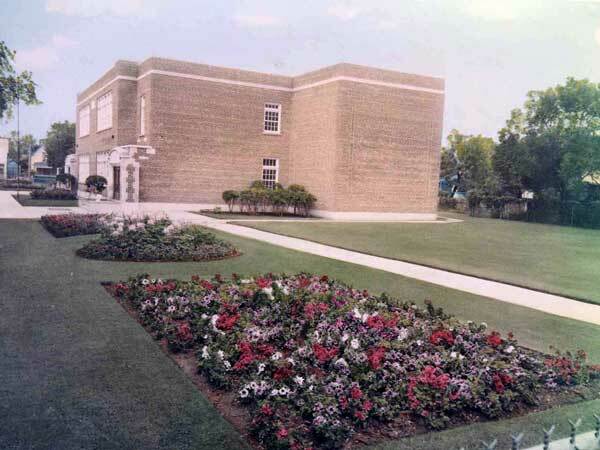 The third Dufferin School was built on the site in 1910, on a design by Winnipeg school architect J. B. Mitchell. It was later demolished and replaced, in 1936, with the present school—the fourth to bear that name—on Alexander Avenue. Source: Winnipeg School Board, Annual Report 1896, Legislative Library of Manitoba. Source: Archives of Manitoba, Winnipeg - Schools - Dufferin #4. Annual Report 1896, Winnipeg Public School District No. 1, Legislative Library of Manitoba. “Winnipeg schools, No. 3—Dufferin,” Manitoba Free Press, 18 October 1922, page 6. 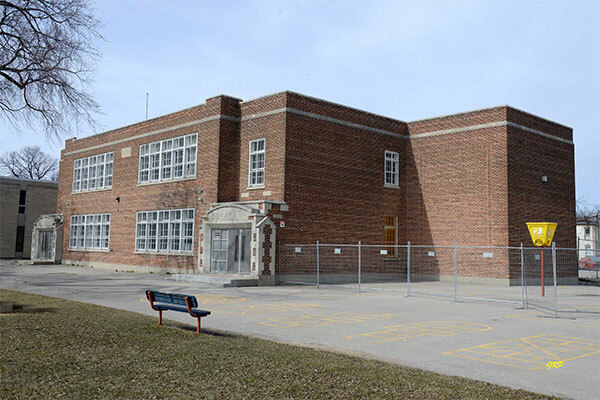 Quiet Dignity: Aspects of Building Schools in the Winnipeg School Division No. 1, 1871-1928 by Giles Bugailiskis, MA thesis, Department of History, University of Manitoba, 1990. Obituary [Ray Wallace Burnside], Winnipeg Free Press, 21 April 2005. We thank the Winnipeg School Division, Nathan Kramer, and George Penner for providing additional information used here.